questions. Bessy Swain, an elderly woman that Jan finds dead in a local gangster's property on her search for Aiden, and whose own son, Thomas, was missing, may have the answers. Jan uses Bessy's information and her own skills and instinct to track down the missing boys. But is it too late for Aiden? 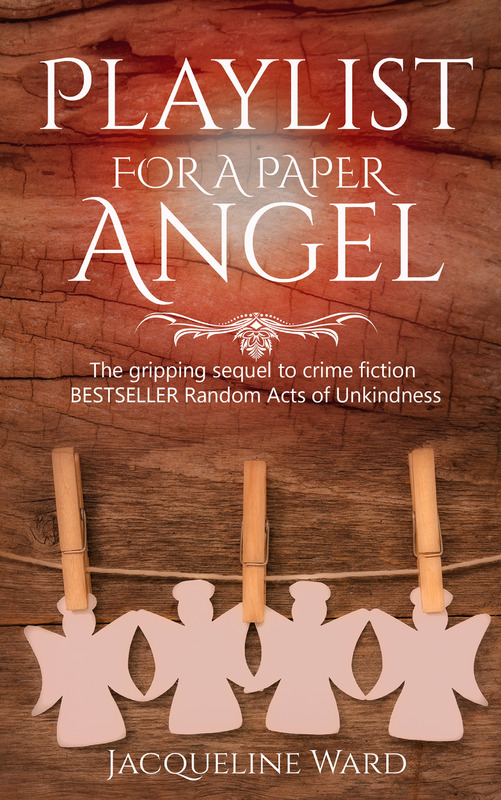 Playlist for a Paper Angel, the sequel to Random Acts of Unkindness is available here. One child lost, one child found – what's the connection? DS Jan Pearce is still searching for her missing son. When she finds a little girl, Elise, alone in a pram in a busy town centre, she must unravel a mystery that takes her to the edge of her emotions. Then another child, Dara Price, goes missing.Lisa Connelly, Elise's mother, has been forced into a life of prostitution and has been leaving her little girl alone. Her gangland boss is holding her prisoner but she wants her little girl back. Jan finds herself balancing her search for her son with finding Dara. To make matters worse, her right hand man, Mike Waring, is on another case so she and her temporary partner, profiler Damien Booth, must solve the puzzle and find Lisa before time runs out for Dara. 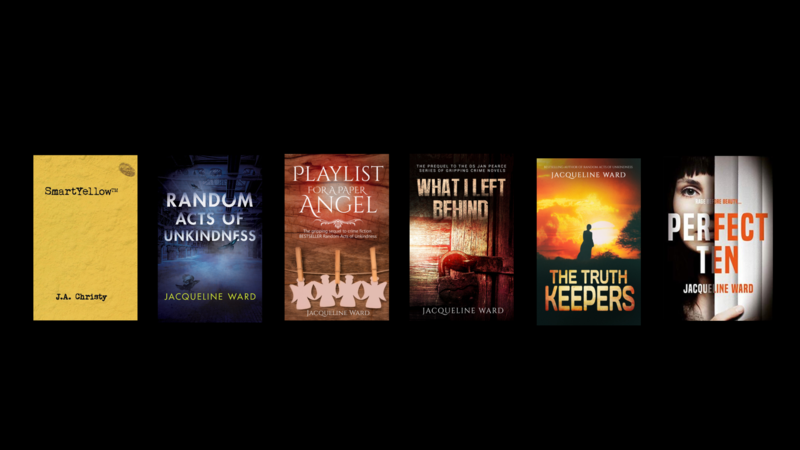 Playlist for a Paper Angel is the second in the DS Jan Pearce series of novels and is the sequel to Random Acts of Unkindness. One year old Maisie Lewis is missing. DC Jan Pearce is in hiding from what she left behind, but is drafted onto the case when it escalates. What forced Jan to come back to Manchester to start a new life? Who is she hiding from? A chain of paper dolls and a series of sinister messages leads Jan to the truth and into the dangerous territory of her past – but is it too late for little Maisie? MI6 spy Kate Morden has a big problem. She's involved in a case where someone has killed an informer and discovered more than they bargained for. Kate investigates and finds her dead father, also a spy who taught her all she knows about coding, is involved. Juliette Watson holds the key to the mystery. She knows what the apocalyptic secret is but she's not telling, until she confides in Iraqi artist, Sanaa Yazidi, who she meets in the desert. Spanning from the start of the 1991 Iraq war to present day, through London, Cyprus, New York and Baghdad, three women on the peripherals of war chase down a ticking clock to save humanity. The Truth Keeper is the first in the Kate Morden series of spy thrillers. SmartYellow™ ( J.A.Christy) as published in both a digital edition and paperback in 2015. 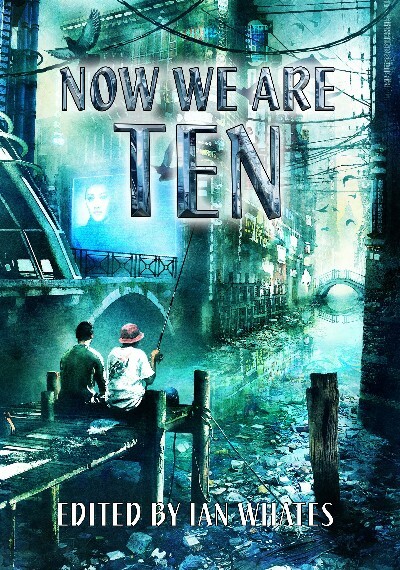 I'm delighted that my short story 'Utopia +10' is included in the 'Now We Are Ten' celebratory anthology from Newcon Press. 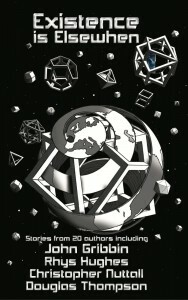 My short story Inside and Out V5 - From Here to ETERNITY was be published in the anthology Existence is Elsewhen. The anthology will be launched at EasterCon in Manchester 2016. I'm delighted to announce that my short story 'Really Me' is published in the Retreat West Short Story W inners Anthology 'The Colour of Life'. The story is on the competition theme of Insomnia and introduces Vanessa, someone who is not all she seems. There are several different themes covered in the anthology. 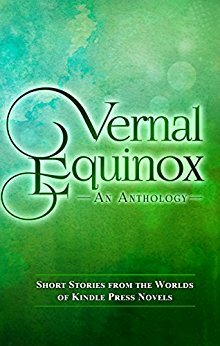 The short stories in this anthology, which is a compilation of six short story competitions winner and runner up stories, were judged by high profile writers and reviewers, and I am honoured to be published beside such competent work. I'm very proud to announce that my short story 'Brick Heart' is in the Stories for Homes anthology 1 and my story I never Wore a Watch is in the Stories for Homes Volume 2 anthology. 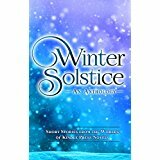 All royalties from this anthology go to Shelter charity. Brick Heart is about an elderly woman facing housing problems, and the range of emotions she goes through. I never Wore a Watch examines the intersectionality of homelessness and learning difficulty, again through an elderly woman's story. Every story in these anthologies shines a light in the importance of home, and what it means to people. 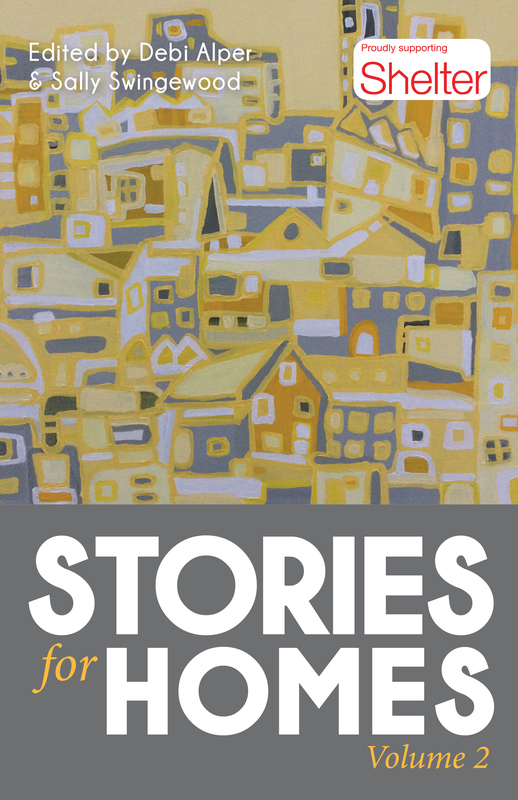 Lookout for Stories for Homes on FaceBook and Twitter @storiesforhomes #storiesforhomes where details of events, reading and launches will appear. And most of all, buy a copy and help stop homelessness. I'm a huge fan of flash fiction and I had a go myself. 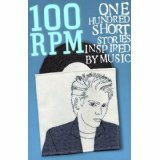 You can find one of my pieces in the '100rpm' anthology. This was a really interesting project as the brief was to take a song that means a lot to you and write a piece of flash fiction inspired by the song. 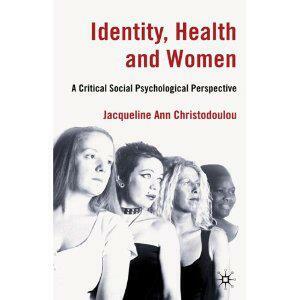 I completed a PhD on narrative psychology and this focused on the way health is constructed and reconstructed through narrative and discourse. The people who participated in my study were asked to tell the story of their health life - a story with a beginning, a middle and an end. Part of the outcome of the study was that when asked to tell a story people will include many aspects of their life to explain how the central focus came about, or was constructed. Compared with answering an interview or a survey, which are largely controlled by the interviewer and leave little room for the surrounding influencing environment of people lives, stories give us a fuller landscape and picture of how people live.